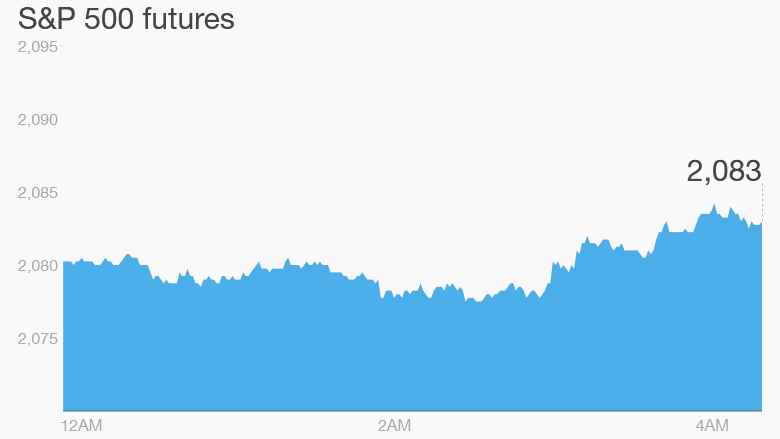 There's a positive mood in global markets Wednesday. China's annual shopping bonanza is setting the tone and the beer industry is also grabbing headlines. 1. Shop 'til you drop: China's biggest shopping day of the year is smashing records again, with total transactions already surpassing $10 billion. The annual online shopping festival is China's version of "Cyber Monday." Within the first eight minutes, customers had spent $1 billion on Alibaba's (BABA) popular shopping platforms, Taobao and Tmall. The results are boosting shares premarket in Alibaba, JD.com (JD), and Yahoo (YHOO), which owns a large stake in Alibaba. 2. Big beer deal done: The world's two biggest beer brewers have formally agreed to combine their businesses in a deal worth roughly £71 billion ($107 billion). Anheuser-Busch InBev (AHBIF) is offering £44 in cash for each SABMiller (SBMRY) share, but there's an option for some investors to receive shares instead of cash. 3. Carlsberg sacks thousands: Shares in competing brewer Carlsberg (CABGY) are rising by about 7% in Europe after the company announced it was cutting 2,000 white-collar jobs as it struggles with weak business in Russia and China. 4. Market overview: U.S. stock futures are rising alongside key European markets. This follows two days of lackluster moves. Asian markets ended with mixed results, but the key Chinese index closed with modest gains. On Tuesday, the Dow Jones industrial average and the S&P 500 each rose 0.2%, while the Nasdaq dipped 0.2%. Commodities are looking soft Wednesday as oil prices dip by about 1% to trade around $43.80 per barrel. Prices for aluminum, copper, nickel and zinc are also falling. 5. Earnings: An earnings update from Macy's (M) is due ahead of the open. This afternoon, quarterly reports will come through from Popeyes (PLKI) and Flowers Foods (FLO), which is the company behind Nature's Own and Wonder bread.